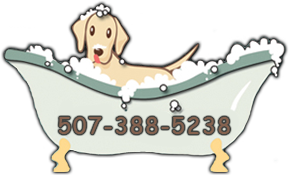 Sharon's Grooming, founded in 1969, is a full service pet grooming salon for cats and dogs in the surrounding Mankato area. At Sharon's Pet Grooming we are pet owners and/or animal lovers. The care, well-being and safety of your pet is our number one priority. Turning him or her into a well-groomed dog or cat is our next priority. We hope your visit with us is enjoyable. We look forward to meeting you and your pets. Sharon's Pet Grooming is committed to creating a comfortable environment for every pet, owner and employee that walks through the door. From the beginning of her career in 1969, Sharon has always believed that a good grooming not only consists of a good haircut, but a positive experience for pet and owner alike. She takes into consideration each pet's individual needs and adjusts her grooming accordingly. Sharon made a promise before she started as a professional pet groomer; if she didn't love this career, she would leave the profession. 45 years later, she still feels the excitement of a career she holds dear to her heart. Sharon's Pet Grooming maintains only the highest standards when it comes to professionalism, cleanliness, and quality of our products and services. A combination of all of the above is how Sharon's Grooming has come to be. Where style meets heart is not just a saying, it's a requirement. "My salon is small and personable. Unlike some places, you will know who is grooming your dog. I believe that an essential part of providing grooming service is building a personal relationship with my clients, so that you will receive personalized service, and never be treated like a number. My goal is to greet all of my canine and feline clients by name. Do you have a pet that is elderly or has special needs? Your pet is welcome any time and will be treated with the utmost care and compassion. Your pet will never be left unattended while in my salon. I also have special equipment designed to help pets who have trouble standing for longer periods get through the grooming process safely and comfortably." Please call to make appointments for your dogs or cats. Schedules are about a week out at this time. We fill up fast, so please call ahead to make your appointments. Copyright © 2014-2019 Sharon's Grooming. All Rights Reserved.